Your spare change can make a huge difference to people with disabilities by helping provide the care, therapy and advice that they need to achieve their goals. These donations are crucial to QEF, each year our supporters actively collect their loose change to support people with disabilities to develop their skills and expertise to help them achieve greater independence in their live. What can donations from a home money box help to provide? so that people with physical and learning disability or acquired brain injuries can be more independent and realise their full potential. Sophia is six years old and has cerebral palsy which means she has poor core stability and needs support when sitting. She has been using a Bugzi for two years which enables her to move in her house unassisted to go wherever she wishes. Her mother Tracey explained how it has changed Sophia’s life. 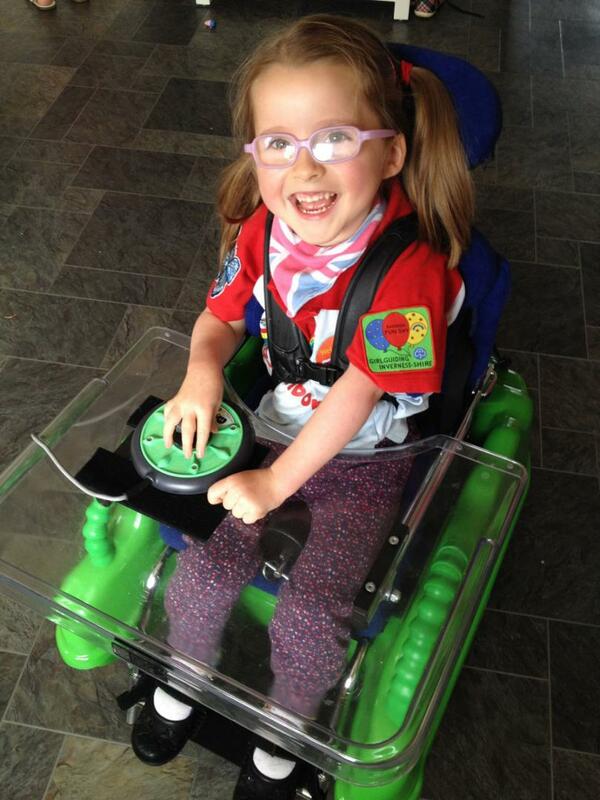 “We first heard about Bugzi at the PACE centre in Aylesbury, which Sophia attended. They told us about the loan scheme and we immediately applied. The assessment was quick and straightforward, everyone was really helpful and made sure each component was right for Sophia. There is no ‘one size fits all’ approach to the Bugzi. Sophia enjoys helping with things like taking her plate to the dishwasher after dinner. It just makes her feel more involved and able to do some of the things her sisters do. 1 - Simply order your home money box today to start your collection. Contact Hanne Widmer on 01372 841131 or by email at hanne.widmer@qef.org.uk. 2 - Keep your box at home or on your desk at work where it is easy to access. 3 - When your box is full count the contents, send your donation by cheque, postal order or credit card to the value of your collection with your name and address (so that we can thank you) to the address below. 4 - Keep your box and keep collecting your spare change to continue supporting people with disabilities. QEF also helps around 4,000 disabled children and young adults every year and this is only thanks to the compassion and generosity of our volunteers, friends and supporters like you who give their time, skills and money.